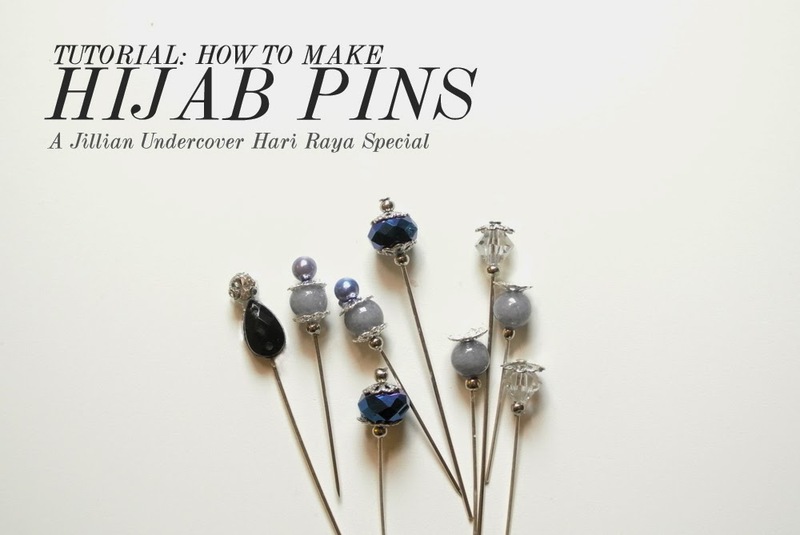 I don't wear Hijabs, but in the spirit of Hari Raya, here's a mini tutorial on making Hijab Pins! I hear they're quite expensive at the shops these days. I didn't have the proper amount of materials on hand i.e. pretty beads and shawl pins. I made these with what I had. However, the concept in general is the same. 1. Put a small amount of glue on a piece of paper. 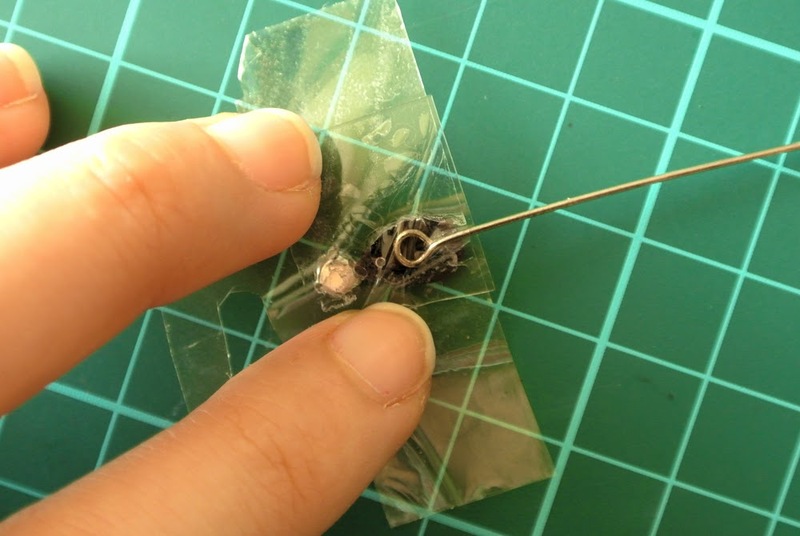 Using a bamboo stick (similar to what I did in my last tutorial, click HERE), gently apply some glue on your pin. Don't worry if it gets messy. 2. 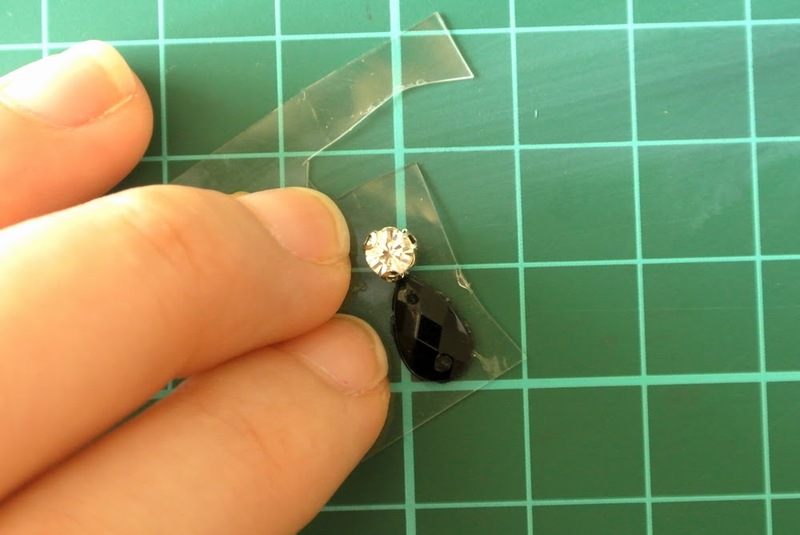 While the glue is still wet, start beading. If the glue becomes too dry, just add on. As I said, don't worry about getting messy, E6000 or GOOP can be cleaned afterwards. Finish with a french crimp. 3. 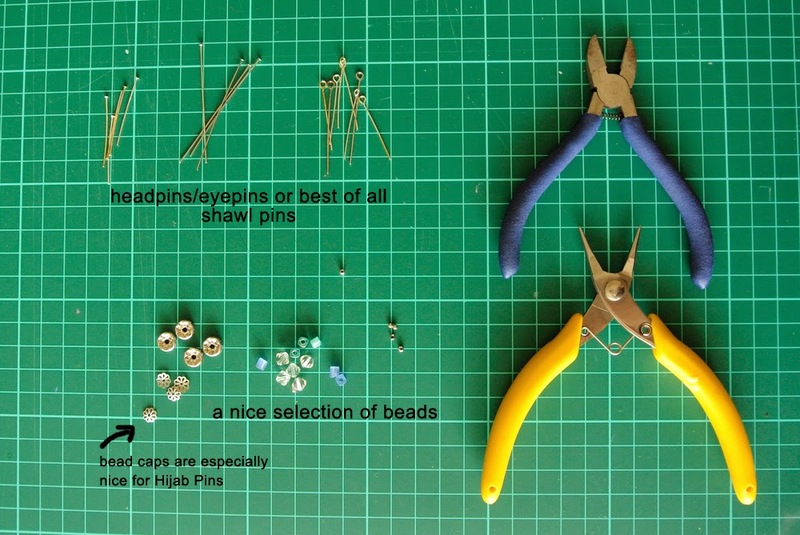 Another method of making a Hijab Pin, is using rhinestones, flat beads and plastic. This one's a little more complicated though. 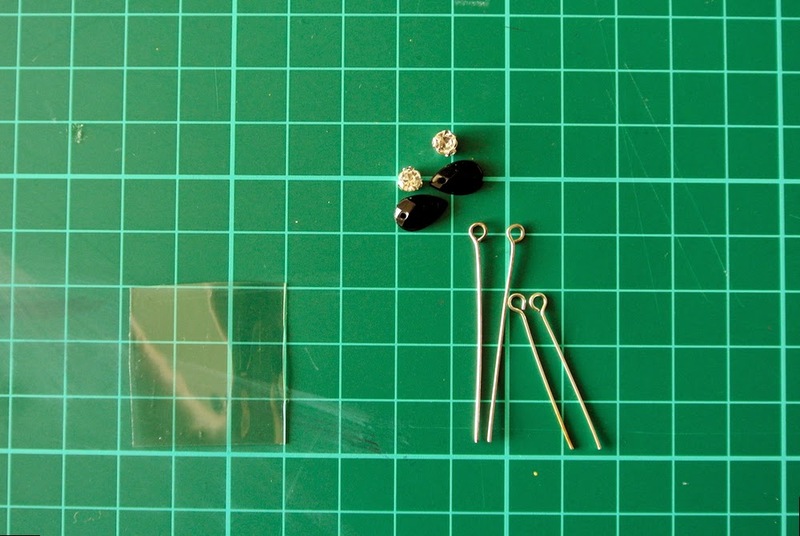 Materials are more or less similar, except for the clear plastic. This time, I used eyepins. 4. Using the same method as in step 1 (bamboo stick + glue), gently apply a small onto the back of your flat beads. Let dry for about an hour or so. 5. 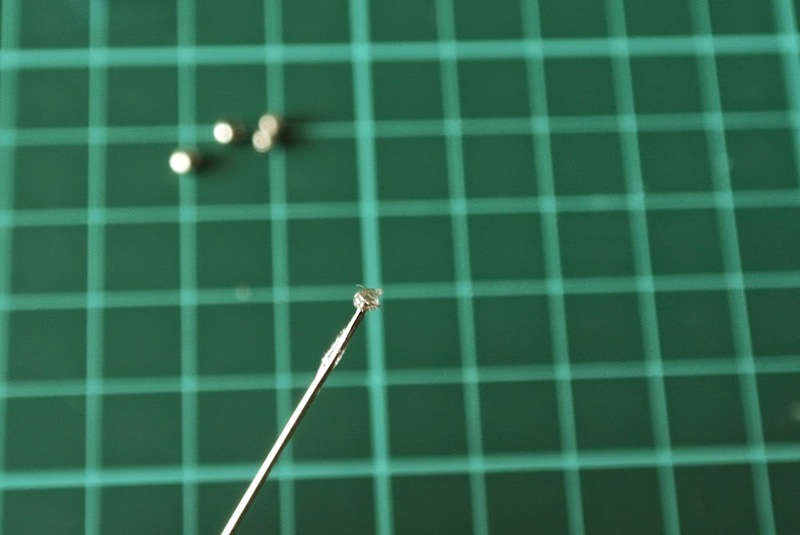 Once dry, add a small amount of glue onto the eyepin and glue over the back of the plastic, right in the middle of your bead arrangement. Use another layer of plastic or clear tape and paste over. You can see that the plastic I used is a bit thick. I found this quite difficult to trim. Best to use thinner plastic, especially for the back. 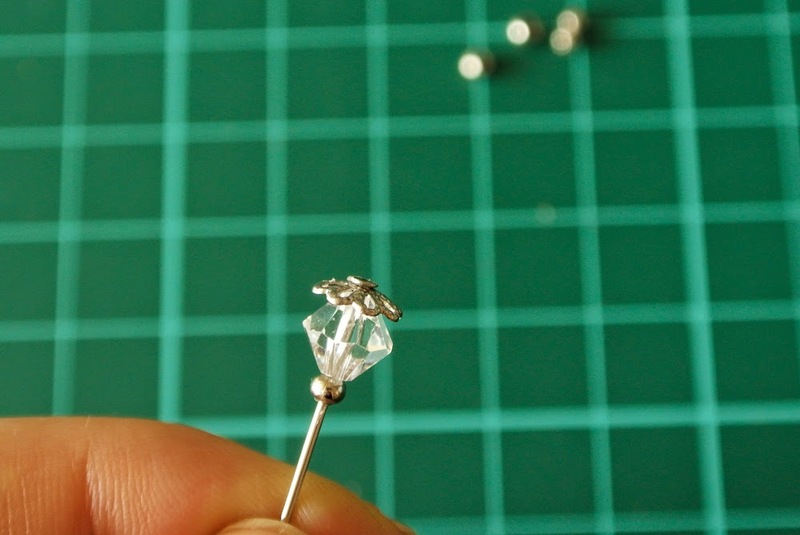 Once it is dry, trim down the edges, around your beads. 6. 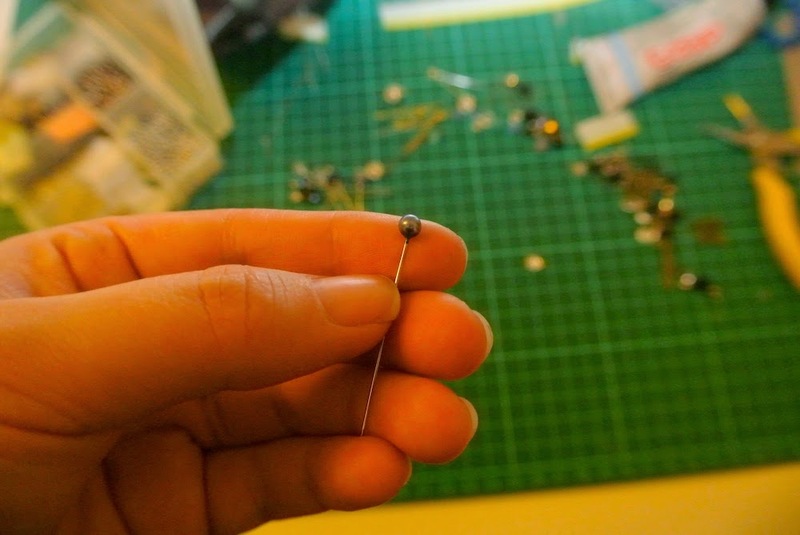 Finally, if all else fails and you don't want to buy shawl pins, use household pins! Found in most sundry shops, supermarkets and convenience stores. Just work a design around the head of the pin, coordinating colours, to match the colour of your outfit! I made several variations, using beads I already have on hand. Oh yes, and just before you finish, clean excess glue off the pins and you're ready to go! I hope you found this useful! Good luck!